By Mike Badger. Published in APPPA Grit 105 (May/June 2018). Proponents of pasture-raised poultry and other grass-based farming systems often talk about our finished products as being more nutrient dense and better for the human nutrition compared to conventionally raised products. How well do you understand these claims you’re making? As David Hale argues in his President’s Column, there’s a responsibility and a credibility to making factually accurate claims. You’re a direct marketing pastured farmer, so knowing how to translate those claims to your customer becomes equally important. 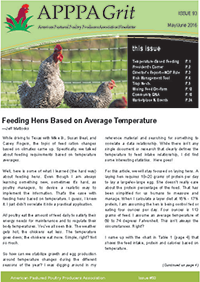 Knowing that pasture-raised chicken has a better lipid profile is fun information on its own, but why does it matter is also important to know. I listened to a webinar from the Food Animal Concerns Trust where nutritionist Collette Lentz, MS, presented a research review of scientific studies that measured the nutrition of animals raised in pasture-based and conventional systems. Collette provided a foundation for connecting the food of the animal to the nutritional impact on the people who eat it. I’ll share some of my notes from the webinar in the hope they provide some understanding. The link to the archived webinar will be at the end of the article, and presentation slides include dozens of references. It’s important to state that these studies collaborate APPPA’s nutritional studies and the data we’ve published over the years. One of the primary arguments cheap chicken makes against pastured poultry is that chickens are monogastric animals who lack a rumen for converting grasses into nutrition that the chicken can use. See the scientific slight of hand? While it’s true that a chicken doesn’t have a rumen, it’s not true that there is no benefit to consuming grasses, and it’s not true that a chicken won’t consume forage. The scientific research clearly finds that putting monogastric animals (poultry and pigs) outside with access to pasture improves the nutrition of those animals. The monogastric animals “absorb fatty acids in the same proportion as found in the [animal’s] diet,” says Collette. That means the fatty acids are “absorbed unchanged in the small intestine before incorporation into the tissue lipids.” In a ruminant, some of the fatty acid is converted to other nutrients, but we’re talking poultry here. The key takeaway in understanding the nutrition of the chicken meat is that you eat the same fat in basically the same proportion as your poultry eats it. Therefore, it’s predictable that when the flock eats healthier fats, their meat is healthier. Here’s an overview of the types of fat from Collette’s presentations. I admit understanding the different types of fat can confuse me sometimes, and I found her explanation helpful. I hope you find it beneficial, too. She talked about fats in terms of bad, in-between, and good. Bad fats are the artificial trans fats (partially hydrogenated oils) found in things such as margarine and frozen pizza. Although, Conjugated Linoleic Acid (CLA) is a trans fat it is a natural type that has been shown to reduce the risk of type 2 diabetes and cancer, and therefore, it doesn’t need to be avoided. The in-between fats are the saturated fatty acids (SFA). Typical dietary advice is to limit the intake of these fats and replace them with better fats. Meat and dairy are common sources of SFA. As is often the case, not all SFA fats have negative health implications. Stearic acid is one fat that does not have negative impacts, according to Collette. The good fats are divided into monounsaturated fatty acids (MUFAs) and polyunsaturated fatty acids (PUFAs). It’s the PUFAs that many marketers pick up on because it contains the omega 3 and omega 6 fatty acids—both fats are needed by the body. It’s the relationship or the ratio that matters. The goal is to have a lower Omega 6:3 ratio. Omega 3 fats tend to reduce inflammation and Omega 6 fatty acids tend to encourage inflammation. An increased ratio increases the risk of obesity and cardiovascular disease. Omega 3 fatty acids promote heart health, reduce blood pressure, and raise good cholesterol (HDL). Some studies link Omega 3’s to a reduced risk of dementia. One way to get better fats in your diet is to eat different foods: more fish, nuts, vegetables, etc. This is often the angle of attack for people who fight against the eating of meat. The reality is, according to Collette, that the U.S. receives 30% of its caloric intake and 40% of it’s fat intake from meat, poultry, dairy, and eggs. Simply changing that diet has many barriers, including cost, accessibility, and preference. Poultry and eggs, for example, have become utilitarian foods and have additional health benefits beyond their fat profile. You can have significant change to the American diet, says Collette, just by improving the health of the animals we use as food. Pasture forage is a direct and significant way to improve the nutritional profile of the animal because the forage is a good source of the Omega 3 PUFAs. Grains/cereals (e.g., corn, wheat) primarily provide Omega 6 PUFAs. In her presentation, Collette acknowledged that although breed and gender (though she didn’t cite a gender) may affect the nutritional profile, it will not be as significant as pasture. Pasture-raised chicken meat tends to be higher in iron, higher in Omega 3, have a lower Omega 6:3 ratio, and be higher in antioxidants (Vitamin E, for example). Pasture-raised eggs have higher Omega 3s, a lower Omega 6:3 ratio, increased vitamin D, and more antioxidants. When we talk about nutrition, fat gets our attention and dominates our conversation, but there’s nutritional benefits beyond fats. Vitamin E, for example, is an antioxidant, and pasture-raised chicken has higher densities of vitamin E.
Many Americans are deficient in vitamin D even though the body absorbs it from being exposed to the sun; therefore, finding dietary sources of vitamin D becomes important. Vitamin D is required for the body to absorb calcium and phosphorus, which leads to strong bones. If your body lacks sufficient vitamin D, then calcium and phosphorous won’t be utilized by the body, leading to brittle bones. The U.S. Health and Human Services says that one-third of U.S. adults are obese, and even if a person is of a healthy body weight, poor diet increases the risk of heart disease, high blood pressure, type 2 diabetes, and osteoporosis. 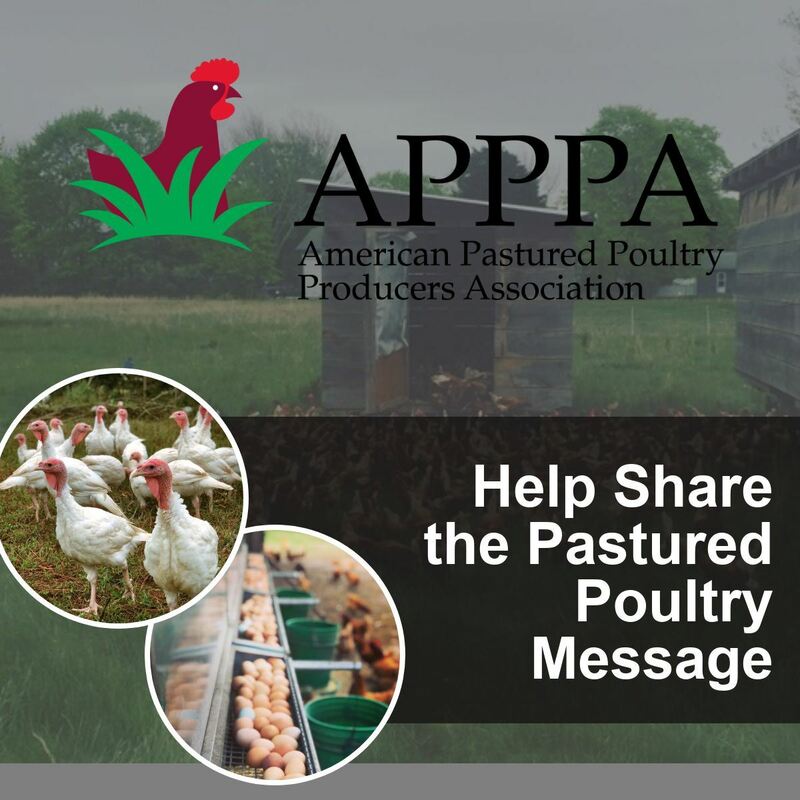 The primary line of defense to these diseases is diet, and when it comes to the poultry you raise, your customers can positively affect their diet and their health by choosing poultry and eggs raised on pasture. Maybe we can call it science-based marketing. I relied heavily on the data points presented by nutritionist Collette Lentz, MS, during her webinar for the Food Animals Concerns Trust (FACT). You can watch this webinar online for free at foodanimalconcernstrust.org/webinars.